Have you ever awakened and gone over a mental list of your day, then rolled over and wished you could go back to sleep? Unfortunately, you have no choice but to get out of bed, because who else is going to work ten hours, run errands, cook dinner, run a load of laundry, pick up dry cleaning, and take the kids to soccer practice. You think it’s going to be the worst day EVER, but then something unexpected happens and you end the day with a smile. How about that family reunion you’re dreading, because you know your cousin’s, sister’s, aunt’s, brother is going to make a snide remark about the weight you’ve gained? Yep, that’s not so fun. Sometimes we even have vacations we go on with family, but you don’t really think they’ll be all that amazing, only to be completely surprised when you come home planning another trip next year. 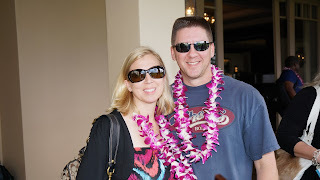 Well, last month my husband earned a trip to Hawaii. I know, I know, I get no sympathy after the word Hawaii. J Still, I was in Hawaii a year ago for two weeks. Also, it would be a five day trip, with two days of travel time. I kept thinking there was no way the trip would be worth it. I have deadlines, and kids, and blah, blah, blah. That being said, when we found out he’d earned the Platinum Award for top sales, I knew I had to go with him to show my support. Let me tell you, the minute I stepped off that plane I was in bliss. The company set us up with all expenses paid at the Ritz Carlton in Maui. We were also allowed to pick an excursion, so we went waterfall repelling. We had breakfast overlooking the ocean each morning that tasted amazing, sat by the pool and had some beverages and sushi, and even watched a private concert with Keith Urban. Oh, and while on our way back from waterfall repelling, I discovered Christmas Kisses 2 Boxed Set hit the USA Today list. Woot! Yep, I was happy and had to act normal while on the Road to Hana in a fifteen-passenger van, with a bunch of my husband’s corporate associates. Moral of the story, you never know when you’re going to experience an unexpected pleasure. J I’ve learned my lesson. How about you? Have you ever been urged to do something you didn’t think would be worth your time and effort, only to have the best time? Ciara Knight is a USA Today and Amazon Bestselling author who writes 'A Little Edge and A Lot of Heart' that span the heat scales. 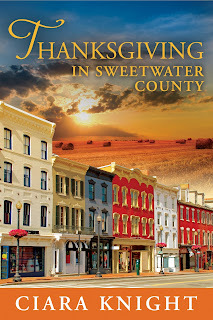 Her popular sweet romance series, Sweetwater County (rated G), is a small town romance full of family trials, friendly competition, and community love. Last summer, my brother convinced us to go with him to Europe. He planned everything and just told us how much to pay to whom. I was dreading it - 3 weeks away??? Language barriers? Bathrooms you have to pay for? It sounds like a great week! I think I go through not wanting to get up almost every day, lol! I can relate to that Aileen! Would have been nice to know who was writing before the very end. Otherwise great post. Ah, thanks for the comment. I'll make sure to write that at the beginning next time. Thanks, Lyn!